Mauricio Pochettino is backing his Tottenham side to take their Champions League qualification hopes to the last group game. Kamil Ahmet Cörekçi was released by Millwall for being too small and have been proving them and others wrong ever since. Peter Crouch is planning to play on until he is 40 and would love to return to QPR before he retires. As you may or may not have noticed, it's coming home, so it is key to ensure you select the right place to watch the big match. Fulham will play Aston Villa in the richest prize in football when they face each one another in the Championship play-off final. Tottenham, Arsenal and Chelsea are all represented in the England squad that is going to the World Cup. 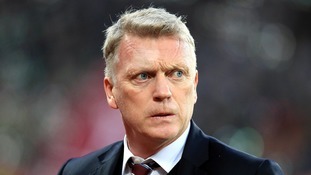 Manager David Moyes has left West Ham, the club have announced.